A controversial five-year rule that has put off “hundreds” of potential apprentices by forcing them to re-sit GCSEs they already have is to be scrapped. New apprenticeship frameworks written after April 6 will no longer include the rule, which meant learners with English or maths GCSEs achieved more than five years before enrolment would have to re-sit them or take equivalent Functional Skills qualifications. 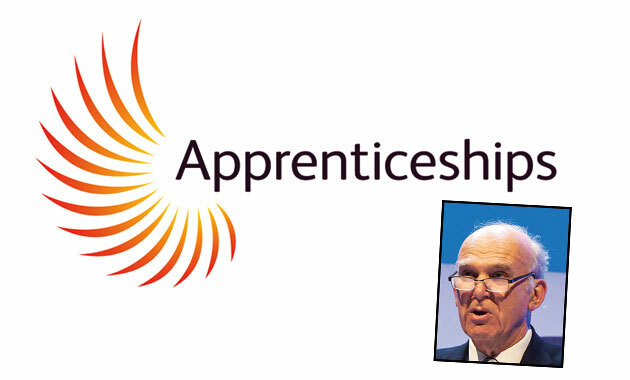 The Department for Business, Innovation and Skills (BIS) confirmed it had removed the rule — in place since 2009 — from the latest version of the specification of apprenticeship standards for England (Sase), but individual frameworks will need to be amended to reflect the change. It comes after Business Secretary Vince Cable said in December that he had approved plans to scrap the rule “in principle”, following threats of legal action by independent learning provider PBDevelopment. It had launched judicial review proceedings, but they never made it to court. And the rule had been especially unpopular among early years training providers such as PBDevelopment, because the new early years educator (EYE) framework, released last August, did not allow Functional Skills as an alternative, meaning learners with older qualifications could only retake GCSEs. PBDevelopment director Ross Midgley said: “It’s a great pity that it took an expensive judicial review to force this change. The five-year rule has put off well into the hundreds. Not to mention all those who have not been put off, but have had to endure the stress and wasted time of achieving qualifications twice. “However, the battle is not yet over. Changing Sase makes changes to apprenticeship frameworks possible, but it does not automatically make them happen. Stewart Segal, chief executive of the Association of Employment and Learning Providers, said: “The rules have not yet changed for new starts. This means that if an apprentice starts today and their GCSEs are more than five years old they still have to meet the requirements of the framework that they are on. “The SFA will inform providers when the new regulations will apply but we are hoping there will be a transition period. About time. Its a crazy situation where after 5 years they dont count. It will be another good move when they take away needing GCSE maths to do a level 3, completely understand the English but not Maths. This is putting alot of capable people who want to work with children. I agree that the qualifications should be valid for longer than 5 years- some people work extremely hard and overcome many barriers to gain their Maths and English qualifications. I work in FE so have seen how people struggle to achieve, and their determination to achieve is amazing. However I disagree with the statement about Maths. Maths is equally as important as English – how on earth can anyone with the responsibility of working with young children not see the need for the same level of competency in Mathematics. This goes back to the same old opinions from people who think it is okay to say “Oh I’m no good at Maths either – don’t worry about it” Would anyone ever dream of admitting they can’t read or write properly? No they wouldn’t, it is completely unacceptable that people think Maths is a secondary subject. How on earth are we ever going to get rid of the fear of Maths and help our children be the best that they can – if adults don’t feel that way? Come on, Maths and English is the key to everything – the building blocks on which we create a strong foundation to become everything we dream of. Here’s a challenge for all of you – give me one area of our lives where you think Maths doesn’t play a part, and I will give you an answer that it does. Maths is everywhere. Its not clear whether this will apply to recruits onto EXISTING frameworks after April 6th. It baffles me why these decisions are made in the first place. Why would it be assumed that someone has lost their English and maths capabilities after 5 years? In that case should those who have university degrees be forced to re-sit their exams after the same time period? It makes you wonder if the right people are in charge of FE or if we need a new system?